The Metropolitan Police Force is the organization responsible for law enforcement in the Greater London area. It’s popularly known as Scotland Yard, named after the street where the first headquarters was situated. During its nearly 200-year history, Scotland Yard has seen its fair share of gruesome crimes. It became famous worldwide during the Ripper murders of 1888, but this list is a look at Scotland Yard’s most gruesome cases from before anyone ever heard the name Jack the Ripper. 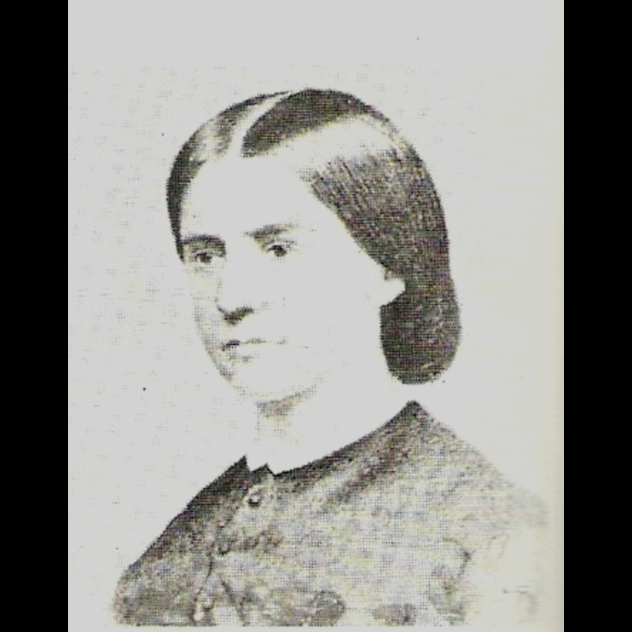 On January 1, 1845, Sarah Hart was found writhing on the floor of her home in Slough. A doctor was summoned, but it was too late. She died soon after of poisoning with prussic acid (hydrogen cyanide). Her neighbor saw a man dressed as a Quaker leaving Sarah’s house in a hurry shortly before she was found. At Paddington, Scotland Yard picked up the trail of the Quaker and later arrested him. He was identified as John Tawell. He had an illegitimate child with Sarah Hart and was paying for her accommodations plus a weekly allowance. Eventually, Tawell decided that killing her was cheaper. He made a full confession, although he claimed that he killed Sarah Hart to prevent his wife from finding out about the affair, not for the money. He was convicted and hanged in March. John Tawell became known as “the man killed by the electric telegraph,” as he was the first arrest made using this new technology. His trial did wonders for the reputation of the telegraph, and the instruments used to catch him are still preserved at London’s Science Museum. On December 28, 1836, a bricklayer discovered the mutilated torso of a 50-year-old woman off Edgware Road in London. A search began for the missing parts, but it wasn’t until January 7 that somebody found her head in Regent’s Canal. However, it was so decomposed that identifying the remains proved difficult. It wasn’t until March 20 that a man was able to confirm that the remains belonged to his missing sister, Hannah Brown. Once her identity was known, finding a suspect became easier. Police attention turned to Brown’s fiance James Greenacre, who was already living with another woman named Sarah Gale. Gale and Greenacre were arrested a day before leaving for the United States. Greenacre proclaimed his innocence using every lie in the book. At first, he claimed that he didn’t know Hannah Brown. Police easily disproved this, and Greenacre changed his story, saying that Brown left and that he didn’t know what happened to her. Again, Scotland Yard proved he was lying, so Greenacre relented and claimed that her death was accidental. Allegedly, both were drunk, and he kicked Brown’s chair, causing her to fall back and hit her head. Panicked, Greenacre dismembered her. However, this didn’t account for the severe blow to the face that Brown sustained in addition to the damage to the back of her head. Suffice it to say that neither the police nor the jury was convinced by Greenacre’s story. Both he and Gale were found guilty. He was hanged, while she received transportion for life to New South Wales. 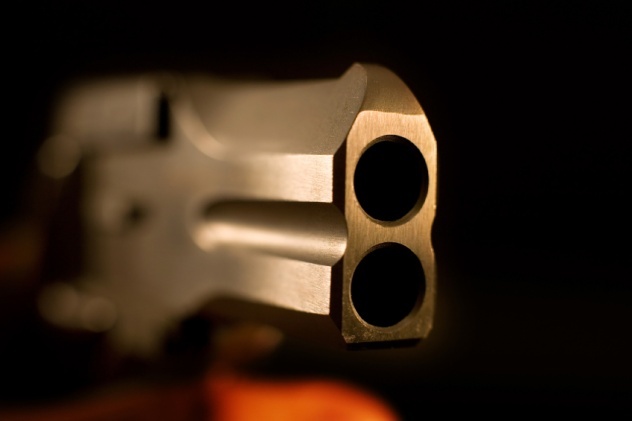 Killer couples are a rarity, so they tend to garner a lot of attention. This was also true in 1849, when the Mannings stood accused of murdering a man named Patrick O’Connor in a case dubbed “The Bermondsey Horror” by the press. Marie de Roux had emigrated from Switzerland to London, where she worked as a maid. There, she soon attracted the attention of two gentlemen—Frederick Manning and Patrick O’Connor. Marie chose Frederick and became Maria Manning. However, she soon realized that she’d bet on the wrong horse. Instead of finding a way to leave Frederick, she persuaded him to kill O’Connor and steal his money. On the night of the killing, Maria invited O’Connor over for dinner. Prior to this, it’s likely that she’d started an affair with him, with or without her husband’s knowledge. While O’Connor had his back turned, Maria shot him in the head. She failed to kill him, though, and Frederick had to finish the job with a crowbar. It wasn’t long before people started looking into O’Connor’s disappearance. Eventually, they made their way to the Manning household. Panicked, Maria took all the valuables she could carry and fled London. Betrayed, Frederick took what was left and also left the city. The police caught Maria in Edinburgh and Frederick in Jersey. During their trial, each spouse tried to point the finger at the other. 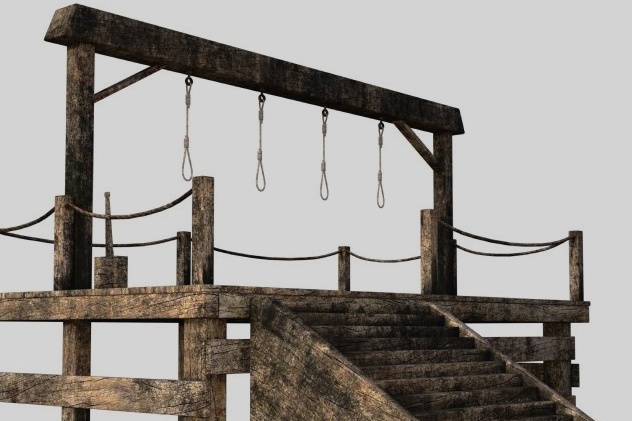 In the end, both received the death penalty, and they were hanged together. In 19th-century England, “burking” was a term that meant to kill someone and sell their body for anatomical research. It was coined after William Burke and William Hares’ infamous killing spree, but they were far from the only people who undertook the practice. A few years after Burke and Hare, three men were doing the same thing in London. 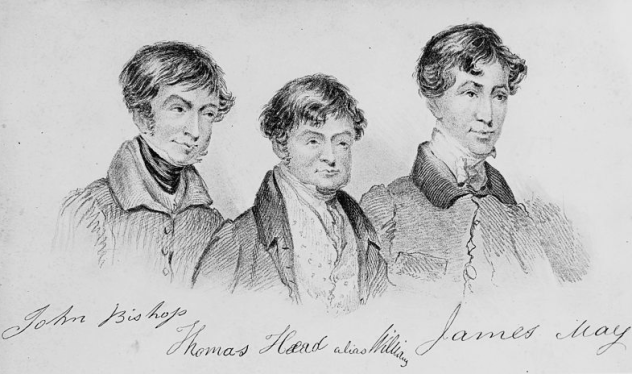 They were John Bishop, James May, and Thomas Williams. They started off as grave robbers, but when the opportunity arose, they weren’t shy about “creating” their own fresh corpses, which fetched a better price. While most surgeons bought cadavers from grave robbers, they should also have been able to tell whether the bodies had actually been buried or not. Some chose to ignore this sign, but Richard Partridge of King’s College did not. On November 5, 1831, the three men brought him the fresh cadaver of a 14-year-old boy. Realizing their crime, Partridge tricked them into waiting, claiming that he didn’t have exact change to pay them, and summoned the police. The boy was thought to be a beggar named Carlo Ferrari. However, that was based entirely on rumors about a missing Italian child. No positive identification was ever made, but the murder of the “Italian boy” captivated the public, and that’s how he was remembered. Williams and Bishop were hanged for killing the boy and two other people. May was cleared of involvement in the murders. A year later, parliament passed Anatomy Act 1832 to shut down the illegal corpse trade. Five decades before London was the setting for Jack the Ripper’s killings, the city was shocked by another prostitute murder that was just as gruesome as the work of Saucy Jack. The victim was Eliza Grimwood, a prostitute in her mid-twenties who plied her trade at her home on Wellington Terrace. On May 26, 1838, Eliza’s body was found in her bedroom with her throat slashed. 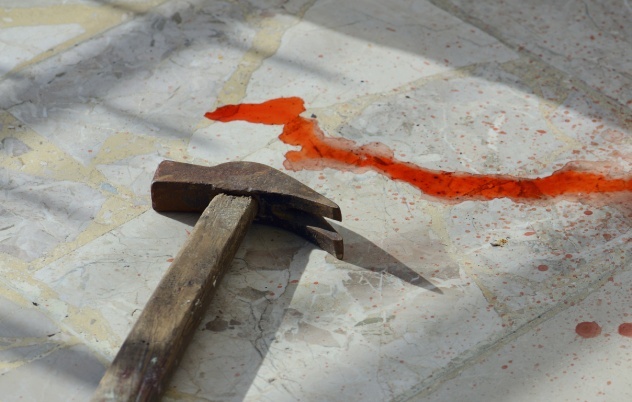 The killer mutilated her corpse by stabbing it repeatedly and trying to decapitate it. Police attention immediately turned to Eliza’s lover and pimp, a man named William Hubbard. However, aside from the personal connection, there was no physical evidence tying him to the murder. When Hubbard was eventually released, he went to the United States and was never heard from again. Whether or not he was Eliza Grimwood’s killer was never established. Police did have another suspect, though—Eliza’s mysterious client from that night. Earlier that day, she went to the theaters in West End in an attempt to pick up a higher class of clientele. According to witnesses, Eliza was last seen in the company of a foreign gentleman. Details such as an Italian accent and a ring bearing the words “Semper fidelis” sprung up, but the man was never identified. Eliza Grimwood’s murder as well as the mystery surrounding her killer turned her into the story of the day. Penny dreadfuls covered her killing, and modern writers contend that she even inspired Charles Dickens to give Nancy her gruesome fate in Oliver Twist. John Templeman was an elderly man who lived in a cottage in Pocock’s Fields. Although not wealthy, he derived a steady income from several properties that he rented out. On March 20, 1840, he went out to collect rent. He returned successfully and went to bed at his usual time. Everything seemed normal until the next morning, when his body was found in his room. During the night, somebody had killed and robbed Templeman. His hands were tied together, his eyes were covered with a bloody stocking, and his head had been smashed in. Three people were soon arrested—Richard Gould and John and Mary Ann Jarvis. The Jarvis couple were soon cleared and released, but Gould remained the police’s main suspect. Circumstantial evidence suggested that Gould was their man. Prior to the murder, he had been heard bragging about a score targeting an old man. His landlord attested that Gould was out late on the night of the murder and was flashing money around the next day. This was enough for Scotland Yard but not enough for a jury; Gould was acquitted at trial. He could have gotten away with murder if he didn’t get greedy. Gould tried to collect a reward for information relating to his own crime. He claimed that he simply robbed Templeman; John Jarvis actually killed him while Mary Ann stood guard. This version was proven false by police, but Gould did provide them with enough new details to make it clear he was there that night. Gould’s guilt was beyond any doubt, but he’d already been acquitted of murder. Based on his testimony, police did charge him with robbery. He was found guilty and sentenced to transportation for life. Throughout its history, Scotland Yard faced its fair share of critics for its perceived ineptitude. The Whitechapel murders were a prime example of this, but it also happened earlier after the Great Coram Street murder. The victim was Harriet Buswell, who also went by Clara Burton. She was a dancer and occasional prostitute who rented a room in the house at No. 12 Great Coram Street. On Christmas Eve 1872, she returned home late at night with a gentleman. The next day, the man was seen leaving alone. So far, nothing was out of the ordinary. It wasn’t until Harriet’s landlady went to check up on her that she found her dead, with her throat slit from ear to ear. The killer had stolen Harriet’s earrings and what little else she had. Several people saw Buswell with her gentleman caller, and they were able to identify him as a German. Police suspected a man named Carl Wohlebbe, who worked on a German brig docked in port over the holidays. He and several other shipmates were brought in for an identity lineup. Multiple witnesses made a positive ID, but for Gottfried Hessel, the ship’s chaplain. However, Hessel claimed to have stayed inside his hotel room all day, feeling ill. Several people corroborated this fact, and Hessel was released. Nobody else was ever charged, which begs the question: Did several witnesses make the same mistake, or did Hessel get away with murder? By 1837, Scotland Yard had established a reputation for itself. As a result, in February of that year, Sergeant Charles Otway of A Division became the first Metropolitan police officer asked to investigate a crime outside of London. The victim was 15-year-old John Brill. He was a laborer at a farm near Uxbridge and went missing on February 16. A search party found his body in a nearby forest called Mad Bess Wood. He was hidden in a hollow tree, covered up with leaves and moss. 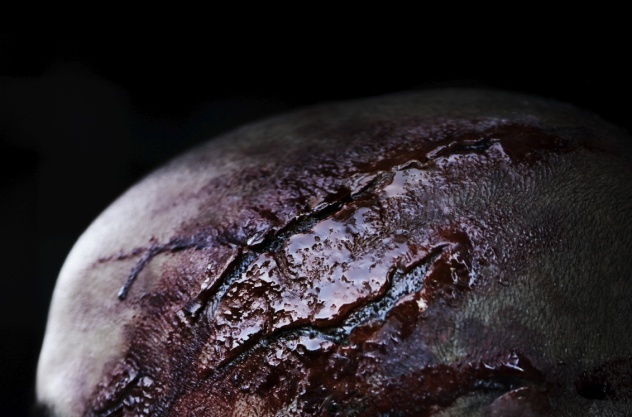 His head had bled profusely and had the mark of a heavy blow under the right ear. These were clearly signs of foul play. 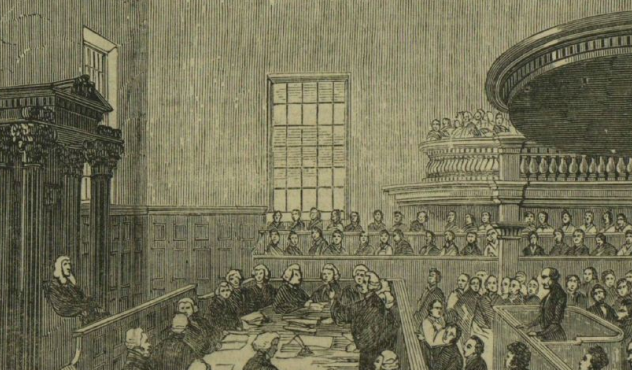 The police had immediate suspects—the trio of Charles Lamb, Thomas Lavender, and James Bray Jr. A few months prior, John Brill had testified against Lavender and Bray for stealing lumber, and the two had made threats against him. Oddly enough, it was Charles Lamb who became the prime suspect, as several people saw him walking into the woods the day John disappeared. In the end, there was no solid evidence against any of them ,so they were acquitted. Years later, a man named George Sibley came forward with information. He’d spent time in prison with Charles Lamb and claimed that Lamb confessed to murdering John Brill. According to Sibley, John interrupted Lamb while he was stealing lumber, so he killed the boy with a billhook. However, a jury didn’t find Sibley’s testimony credible enough, and Lamb was acquitted again. By all accounts, George Henry Lamson started off on the right track. After graduating from medical school, Lamson volunteered as a surgeon in war-torn regions—first France, then the Balkans. After eight years of service, he returned to England with a chestful of medals and set up a practice in Bournemouth. At first, things looked promising. However, during his time in the service, he’d developed a secret morphine addiction. This, coupled with Lamson’s efforts to maintain a wealthier image than he could actually afford, meant that the doctor soon found himself heavily in debt. Lamson’s attention turned to his 19-year-old paraplegic brother-in-law, Percy Malcolm. He lived at a boarding school in Wimbledon. Although confined to a wheelchair, Percy had a substantial inheritance to support him the rest of his life. Unfortunately for him, Lamson realized that if anything happened to Malcolm, his inheritance would be divided among his siblings, which included Lamson’s wife. Lamson thought all his financial problems could be solved with a quick visit to his brother-in-law, who “mysteriously” died afterward of aconitine poisoning. Lamson hoped that Percy’s condition would be blamed for his demise. As he’d learned at university, aconitine was completely untraceable. However, he hadn’t stayed up-to-date with recent innovations. As it happened, since his graduation, a new method for detecting aconitine had been developed. 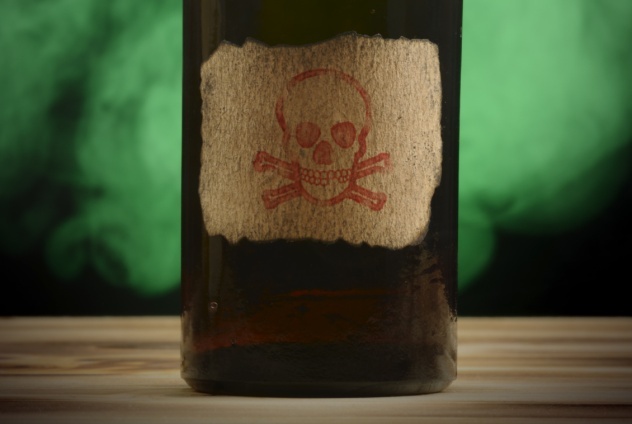 It was proven that Percy Malcolm had been poisoned and that Lamson purchased aconitine just a few days prior. He was found guilty and hanged. Jonathan Whicher was one of the eight original members of Scotland Yard’s Detective Branch when it formed in 1842. He was also the detective in charge of one of the outfit’s most gruesome investigations—the murder at Road Hill House. On June 29, 1860, four-year-old Francis Saville Kent went missing from his home in the Wiltshire village of Rode. The next day, his body was found in the servant outhouse with his throat slit. Due to the viciousness of the crime, local police were under pressure to produce results. The man in charge, Superintendent Foley, concentrated all his efforts on the nursemaid, Elizabeth Gough, who turned out to be innocent. Frustrated at the lack of progress, local magistrates asked Scotland Yard for help, and that’s when Whicher got involved. He immediately turned his attention to Francis’s 16-year-old half-sister, Constance Kent. Whicher’s suspicions were based on her missing nightgown, which the detective correctly assumed Constance had gotten rid of because it was stained with blood. The public simply refused to believe that a young woman was capable of such a heinous crime. The media portrayed Constance in a sympathetic light and criticized Whicher for failing to capture the real killer. Since the nightgown was never found, the case against Constance Kent was eventually dropped. Five years later, however, Constance confessed her crime. She was sentenced to death, but the sentence was later commuted to 20 years in prison. Some people believed that she might have been covering for someone else, either her father or her brother.